Specializing in string instruments: guitar, electric bass, violin, mandolin, ukulele and more. Private lessons, Suzuki Program with violin group classes, recitals, community events. Formerly Bolton Community Music School in central Massachusetts, we now offer the same program in North Pomfret, Vermont. Small, informal teaching environment. The aim is to create a well-rounded musician and a joy of making music for oneself and with others. The Suzuki Method combines a music teaching method with a philosophy, embracing the total development of the child, which follows Dr. Shinichi Suzuki’s guiding principle, "character first, ability second," also known as the Mother-Tongue Approach. The Suzuki Violin Method involves a combination of weekly private lessons and regular group classes. The Suzuki approach is based on the belief that students can learn to play music in the same way they easily learn their native language – through listening, repetition, motivation, encouragement, parental involvement and love. Parents take an active role in the education process by attending all lessons and groups and practicing with their child at home. The goal of a Suzuki teacher is not only to develop the violinist and musician in every student but to nurture the entire child and teach important life skills such as coordination, self-evaluation and motivation, listening skills, patience, and perseverance. 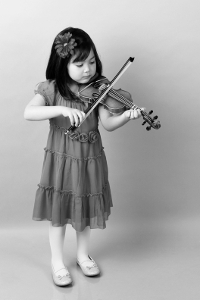 The Suzuki method is structured in such a way that new ideas are presented in small steps so the child can succeed and be proud of their achievements with every new skill. Old skills serve as building blocks for new material so the child is always developing a larger vocabulary. With positive guidance from the parent and teacher, the child develops confidence and a strong self-esteem. Weekly private lessons are offered year round to students of all abilities and ages. 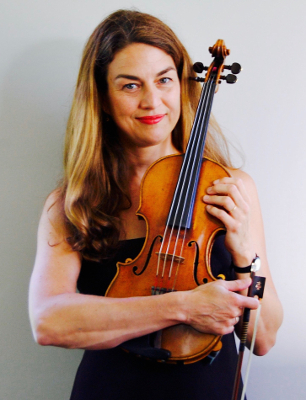 Emily teaches from her studio in Cornwall, Vermont and at the Middlebury Community Music Center which is located in the Middlebury Community House on Main Street in Middlebury, Vermont. I’m convinced I have the best job in the world. I nurture musicians: Growing minds and hearts, developing physical capabilities, coaching and cultivating competitive spirits, giving an opportunity for excellence in exceptional people, young and old. 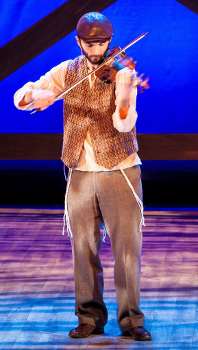 I graduated from Oberlin Conservatory in 2013 (violin performance). 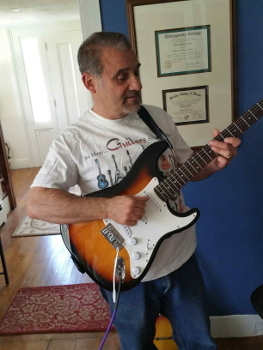 I teach all levels, and I play (solo, or with a quartet) for weddings and other special events. I am happy to travel up to a half hour away from Woodstock to teach if folks can't get to Woodstock. I teach students of all ages, from children to adults. My hope is to create a community of musicians who enjoy playing with others. To that end, I also organize workshops and camps to encourage players to meet each other and become inspired. I encourage both learning by ear and learning to read music. Offering private lessons and group classes.